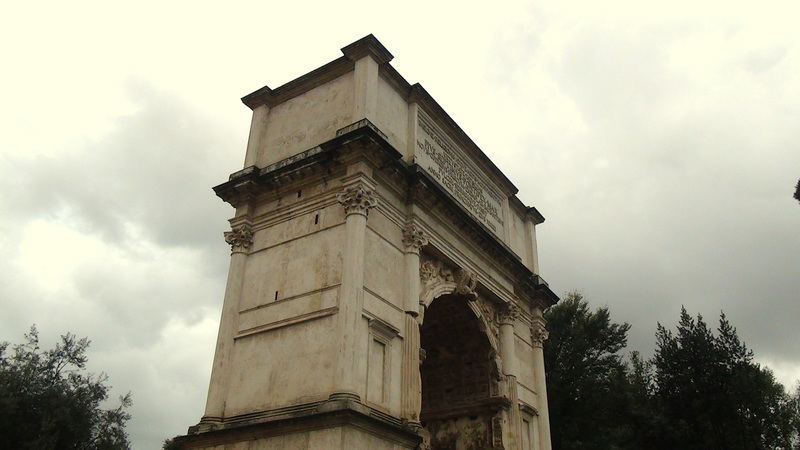 In Rome there stands the Arch of Titus. This arch stands on the Via Sacra and was built c 82 AD to commemorate the Roman victory over Jerusalem and the Jewish people. 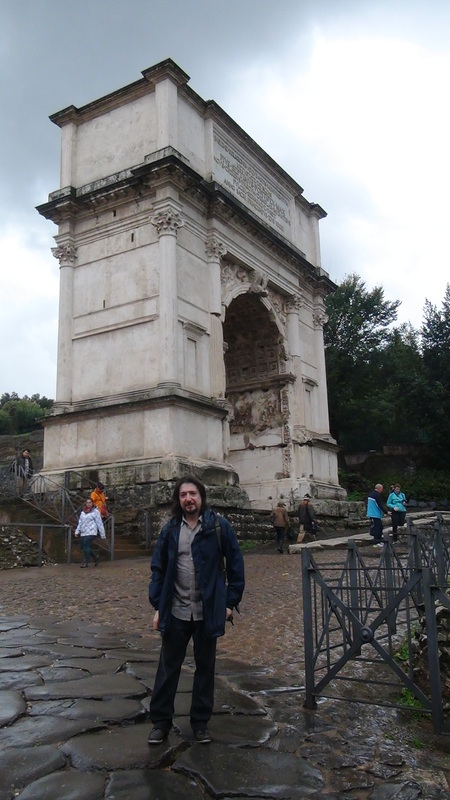 I had read about the Arch of Titus for many years, and during my visit to Rome it was quite a monumental moment for me to look directly at this treasure of the Biblical era. The actual arch contains some of the few secular and historical images of the artefacts from the Herodian Temple and the siege of Jerusalem. The arch contains an image of the Menorah which was the very same Menorah that was standing in the Temple in Jerusalem when Jesus was on earth. The Arch also contains excellent representations of the gold Trumpets and the Table of Show bread as written about in the Bible. It is claimed that the images were once coloured in gold and the background blue. (The) Roman Senate and (the) people to (the) Divine Titus Vespasian son (of) Augustus. On another note, the situation I so often find myself in is at variance with so many modern claims of secular scholarship. I find it hard to respect certain branches of modern critical scholarship when certain claims are made against the Bible, arguing the narratives are not factual history, but merely religious fiction. These claims are at variance with me continuously, especially when I see facts such as the Arch of Titus standing before my very eyes. The Arch of Titus strengthens the case to claim that the Synoptic Gospels of Matthew, Mark and Luke were all written well before AD 70, likewise the book of Revelation. The thing is many modern scholars must claim the Gospels were written after AD 70 and not by eye witnesses or the truth of Biblical prophecy will be clearly seen. The Gospels claim that Jesus, during His incarnation, prophesied the destruction of the Jerusalem Temple around 40 years or more prior to the events themselves. The problem is that many modern critical scholars do not believe in prophecy and therefore approach the texts with that persuasion. Thus, if a person looks at the Biblical narrative through certain spectacles and in denial of the supernatural, that person will only see a natural explanation. Thus, the conclusion will be made that the Gospel narratives were written after the events they prophesied and not by eye witnesses. As controversial a statement as it may seem these days, there is no actual evidence that the Gospels themselves were written after AD 70. 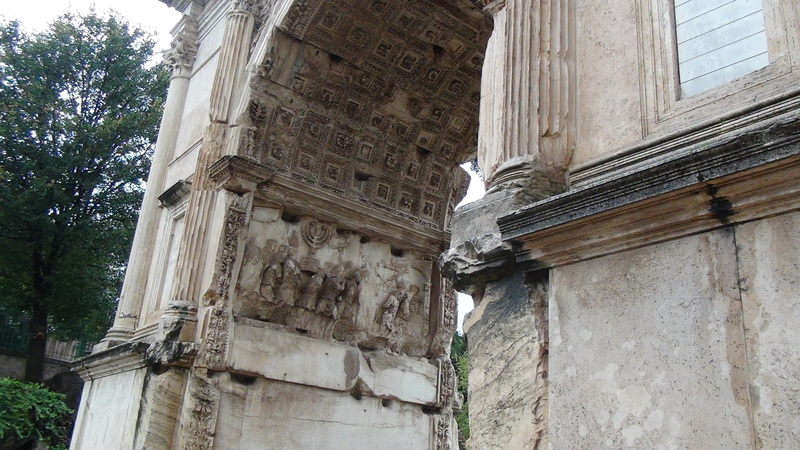 On the contrary, the evidence of the Arch of Titus affirms the New Testament step by step and the Old Testament also. This claim is not any new argument or contrary to Ecclesiastical history or historical Theology. The latest film is based upon a singular reference to Rhodes in Acts 21: 21, and somewhat explores the Apostle Paul and the theme of his mission to the Gentiles. Granted, there is no actual text that states that Paul spent time on Rhodes, but the theme is no less engaging or devoid of interest. Local tradition on Rhodes claims that he visited Lindos, at a harbour known locally as ‘St Paul’s harbour” or ‘St Paul’s bay’ to tourists. This location is a popular destination and much of the documentary was filmed there. I am very pleased to say that the Network premier of ‘The Apostle Paul at Rhodes’ can be viewed tomorrow (UK time) @ 2pm on RevelationTV SKY: 581, FREESAT: 692, FREEVIEW HD: 241 and Saturday 9th May 8pm, Sunday 17th May 11pm, Friday 22nd May 12: 30pm, and Saturday 30th May 6: 30pm. Alternatively the documentary is available for viewing online at YouTube.